The 21st century marks a watershed in the history of the human economic condition. Income and wealth inequalities are now greater than ever before – and their role in the global financial crisis is one of the burning issues of today. 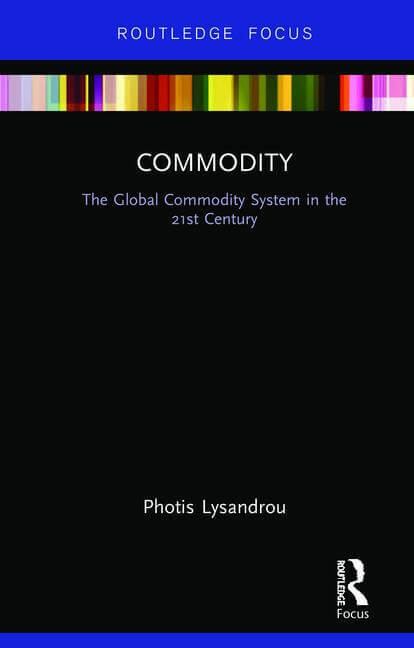 Commodity looks at the great financial crisis from an entirely original perspective – that of the global commodity system as a newly operational totality. In the 19th century, the commodity system as defined by Karl Marx was limited to a few regions and embraced only the labour and capital capacities and their outputs. By the end of the 20th century, it encompassed the entire planet and embraced government capacity as well as private capacities, financial securities and material goods and services. This book shows how the financial crisis and its causes can only properly be understood as a result of this vast, unprecedented extension of the commodity system – a system which benefits the rich. The author makes the watertight case that it is only through the creation of a global tax authority – to coordinate national tax regimes and to implement a tax on global wealth – that we can avoid another crisis and create a fairer and more equitable world. Addressing a broad range of themes, Commodity offers a new perspective which will be of interest to political economists as well as researchers specialising in other related fields of social enquiry. Written in a clear and engaging way, the book’s concise nature also makes it accessible for the non-specialist reader, and it will especially appeal to all those who want a more just society.